My first unit completed this year. Finished them last week but only just got around to posting. Another beautiful summer day at the Woolshed. A unit of Royal Navy Sailors on shore duty. 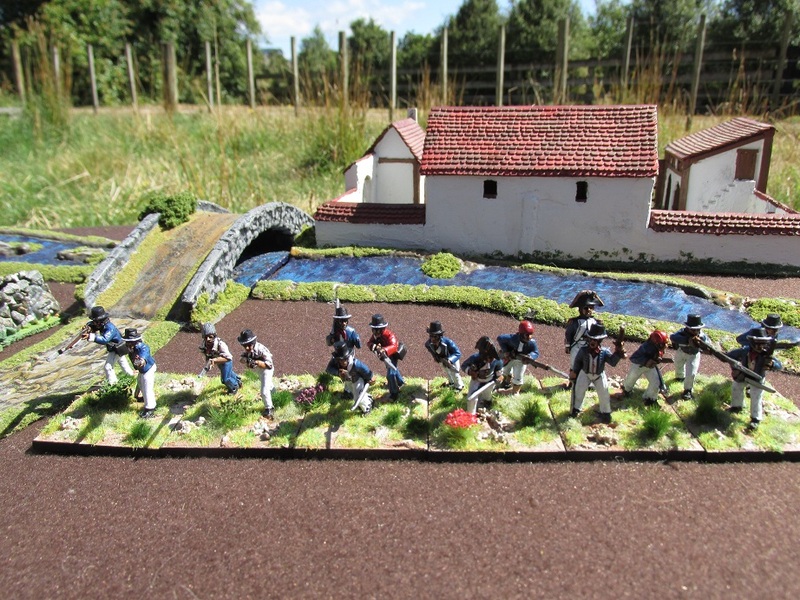 These figures are from Brigade Games and are wonderful little miniatures. I only wish I had the skill and patience to do them the full justice they deserved. For an example of that look here. 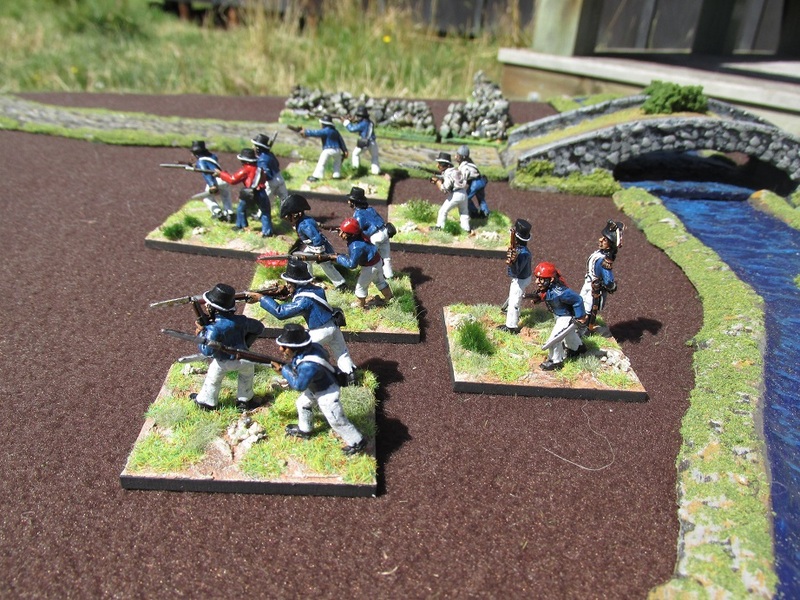 However, saying that, for my level of competency I am pretty happy with them. I thought that my landing party needed some artillery support so also made this artillery base. I am particularly happy with how this base turned out. 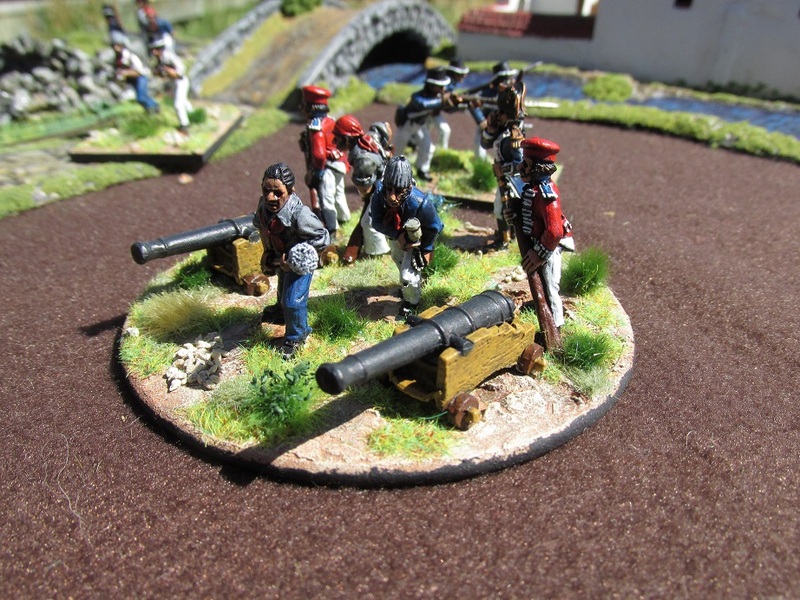 Perhaps because I have been using round bases for my Zulu Wars British Artillery I decided to make this battery a one-piece model rather than two separate artillery bases. 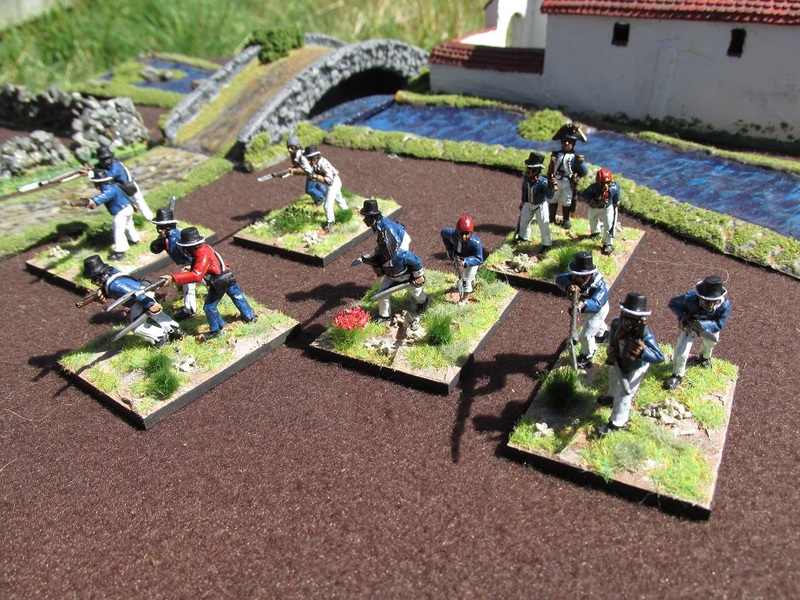 Anyway, it made a change from rectangular Napoleonic bases. 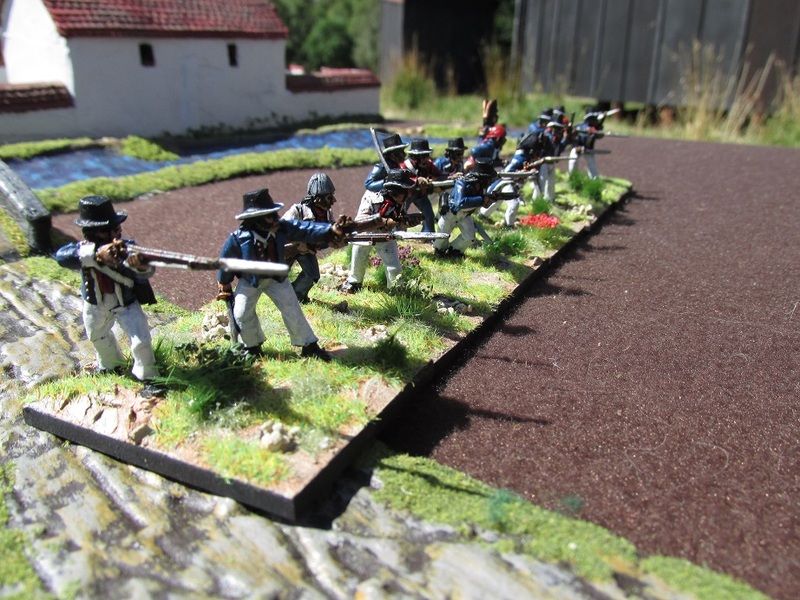 A small unit for Black Powder games – add a bit of colour to the table. 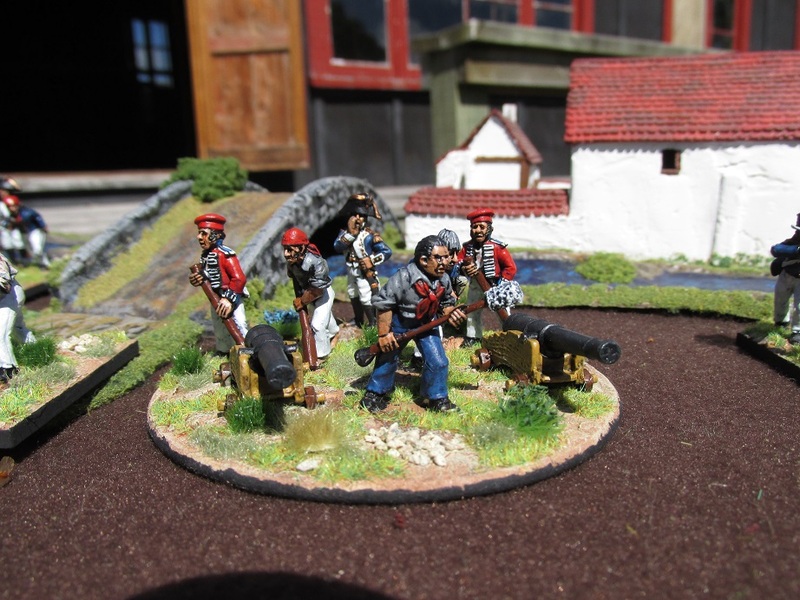 Ahoy matey – very nice indeed! Thanks Roly. 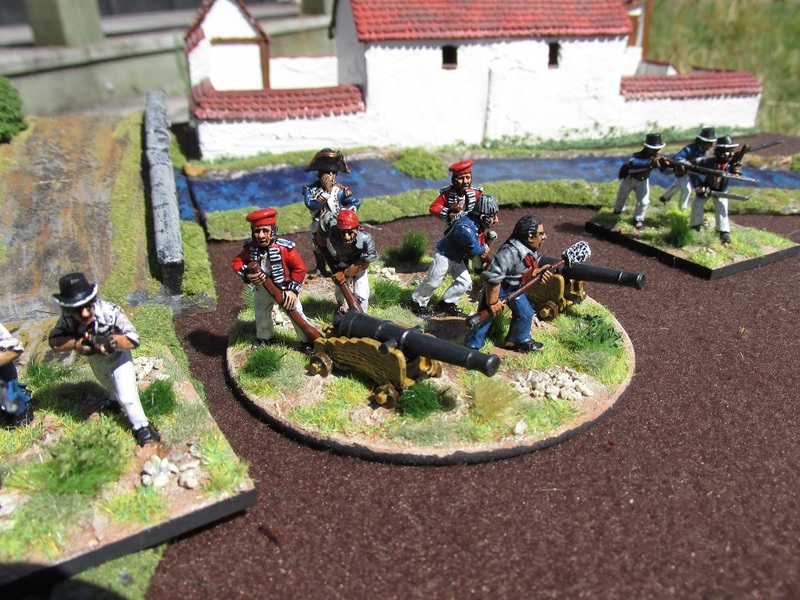 Thought it was time to get back to Napoleonics. 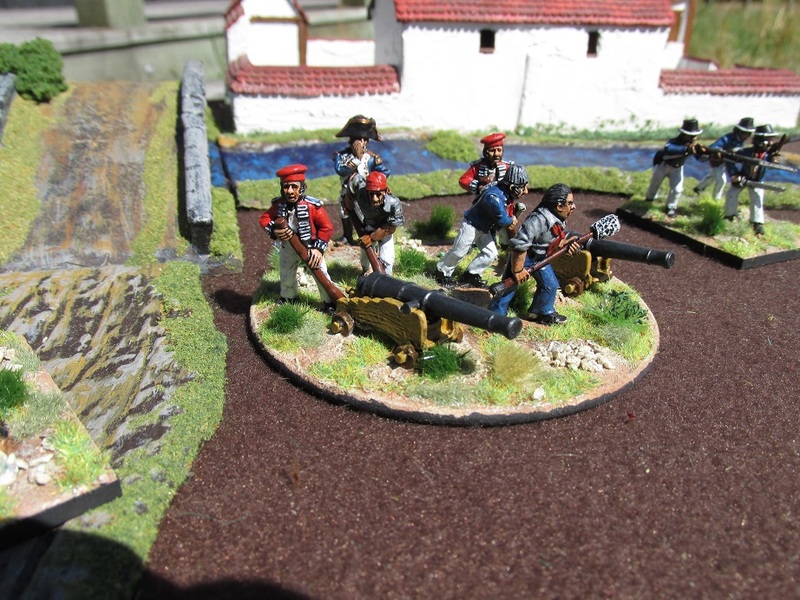 That and I ran out of Zulu minis to paint.